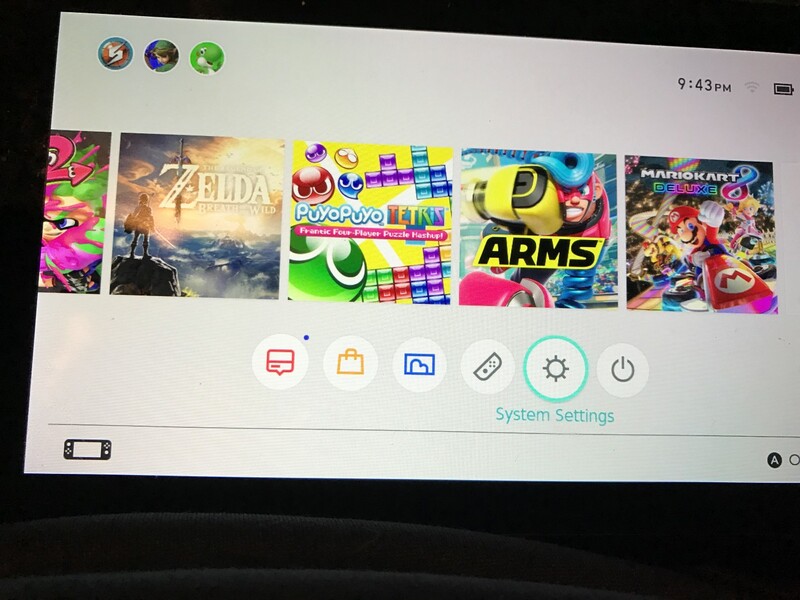 Since the Nintendo Switch is a portable system, one of the things you might want to do is hook the Switch up to the internet so you can play some Splatoon 2 or Mario Kart 8 Deluxe online. Luckily it’s not too hard of a process to hook up your switch to your cell phone mobile hotspot. 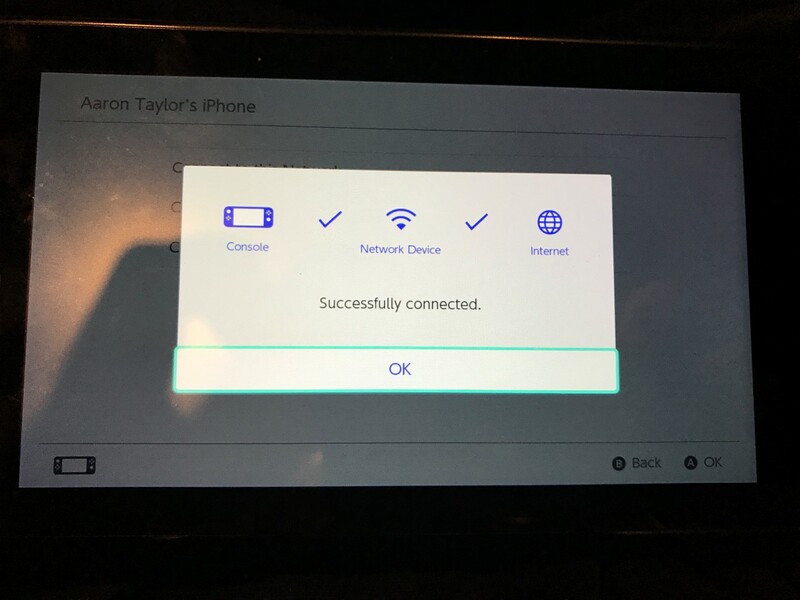 This article will detail exactly how to use your Nintendo Switch on a mobile hotspot. Once it’s hooked up, you should be able to go play your favorite internet games without too many issues. You may experience greater lag than normal but it should be pretty playable still. Something to take note of is that this will only currently work for Verizon, T-Mobile, and Sprint networks, it won’t work on AT&T due to their restrictive NAT. If you have AT&T, you don’t really have any good options unfortunately. 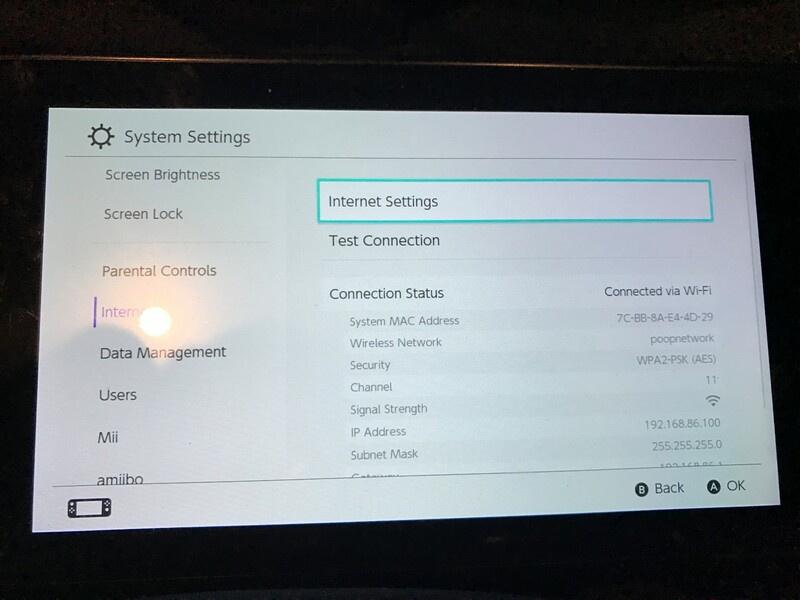 I do know that people have been campaigning AT&T to make their NAT less restrictive so the Switch can connect online. Nintendo could also fix their network to work with more restrictive NAT’s but that seems unlikely considering they had this issue with the Wii U as well and never fixed it. I made a video of the whole process below, hopefully that helps every out. I know for kids and parents that aren’t used to using a hotspot it can be kind of a difficult process initially. Also, if you haven’t already, I would recommend a screen protector for your switch. I bought one from amFilm (my review here) but there are other good options. Cheap insurance to keep your switch safe. The Switch Pro Controller is also pretty awesome. 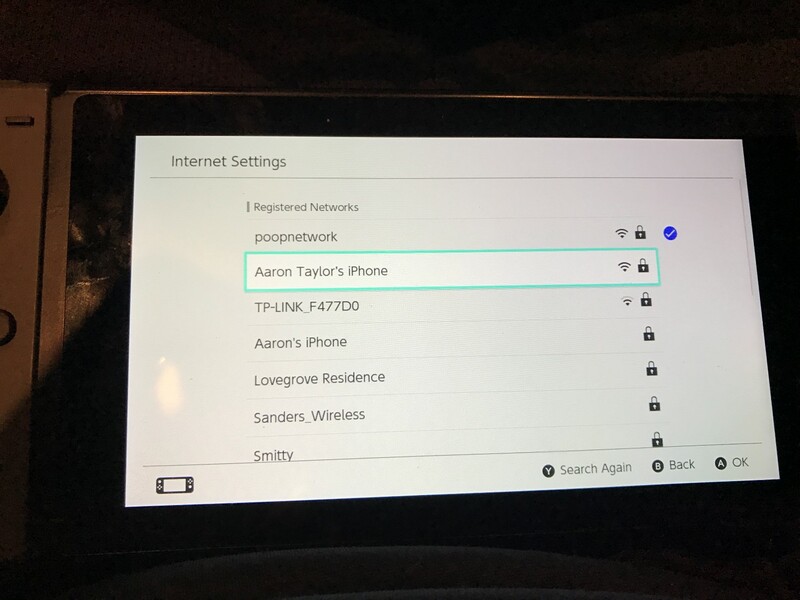 Sometimes the switch network gets confused with the hotspot. 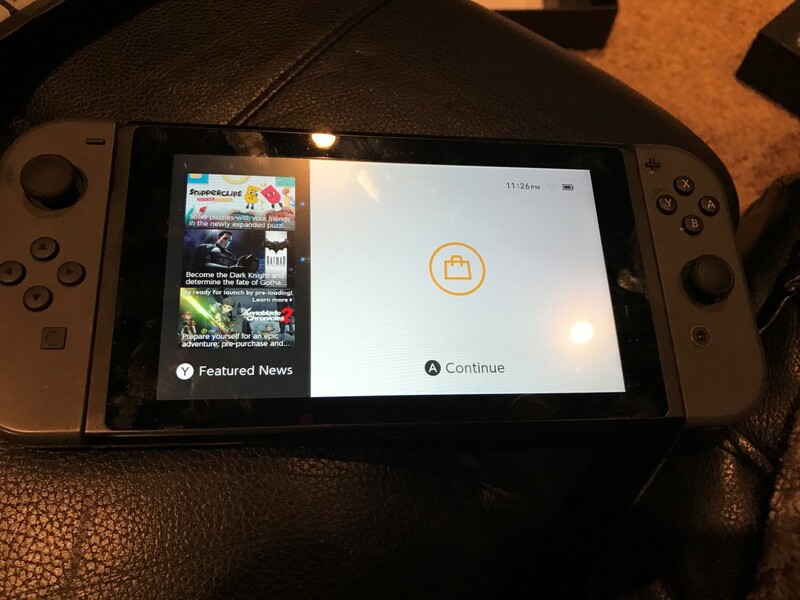 I’ve had to restart my switch for it to work sometimes. 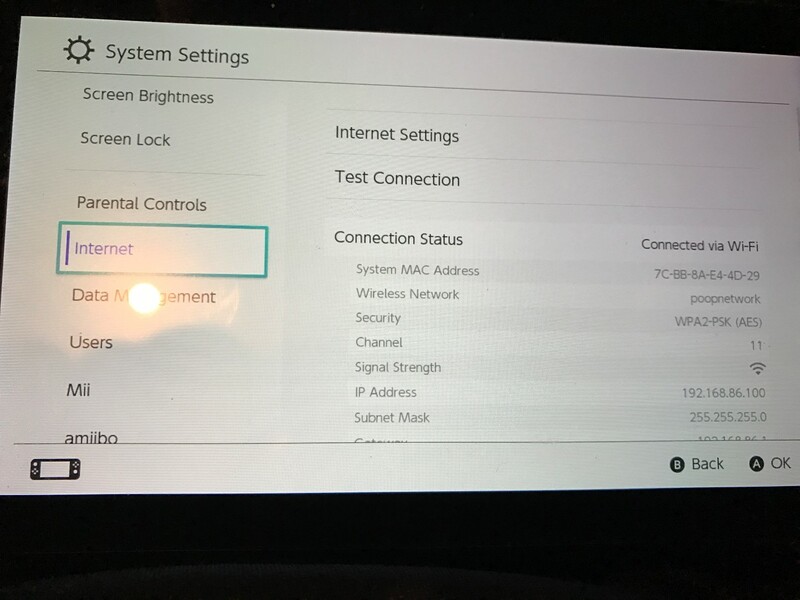 Something with the switch’s network attachment doesn’t work right 100% of the time. 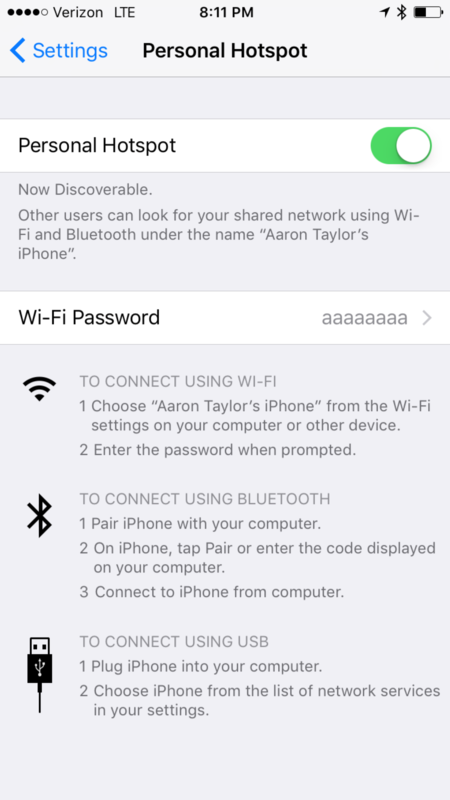 The last thing to do is to set a hotspot password to “aaaaaaaa”. Or at least advise your readers to lock the hotspot to the MAC address shown on the Switch.